Tonga has a variety of accommodation types to suit all needs and budgets. Below is a list of some of the better quality places to stay. 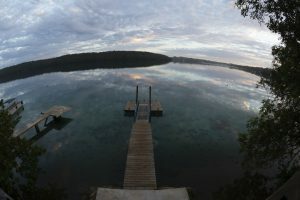 Located about 3km out of the CBD, Winnie’s sits in a part of the Tonga Copra Board estate, a homely five-room guest house. This fully refurbished Bed & Breakfast has a public bus stop right outside its front gate – so getting in and out of town is still convenient and affordable! Aloft Airport Accommodation comprises of 7 rooms. Additional amenities include airport transfer service, housekeeping service and ironing service. Thet airport is Fua’amotu, less than 5 km from the property. The Tongan Beach Resort is situated on the water’s edge on the island of Utungake, accessible by causeway from mainland Vava’u. Accommodation is provided in beachfront bungalows, which include private bathrooms with hot water, fans, fridges and tea & coffee making facilities. There are 12 bungalows, offering double, twin or triple bed configuration. Facilities include a fully licensed restaurant and outdoor bar and laundry service. The Port Wine Guest House (or in Tongan Pota Uaine Fale) is named after King George II’s favourite drink Port. The King’s old residence is situated only one block away from the guest house. The King’s land, called Veitatalo, is now vacant but the Government still looks after the land and cuts the grass. We are hosting a Bed & Breakfast and supporting the facilities of diving, whale watching and even swimming with the Humpback whales. For years we are running Beluga Diving, and now we have opened our brand new Bed & Breakfast accommodation – Flying Annie Moa. We would be delighted to have you as one of our guests, and we make sure you will have a pleasant stay in Flying Annie Moa! Ph 00676 – 71463 or Mobile 00676-8420325. Located on Fetoko Island in the Vava’u Island Group of the Kingdom of Tonga, Mandala offers six unique handcrafted bungalows, including a honeymoon suite and a bespoke tree house, unique to resorts in Tonga. En-suite seaside bungalows with private, over the water verandas and spectacular views are equipped with king beds, French doors, and cozy bay window day-beds, amenities available only at this accommodation Vava’u. A quick 10-minute boat ride to activities in Neiafu makes whale watching, day-sails, SCUBA diving and big game and sports fishing tours departing from town easily accessible. All our Haapai departures/tours are based out of Matafonua Lodge. The Lodge is on one of the South Pacific’s most beautiful beaches on the northern tip of Foa Island. It is 12 km to the airport and 14 km to Pangai, the capital of the Ha’apai island group, which are both located on Lifuka Island. Foa & Lifuka are linked by a causeway.